Kevin Walsh There are 8 products. 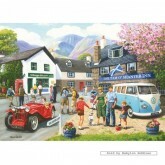 On a warm Spring day this Highland village soon becomes busy with walkers, motorists and campers. 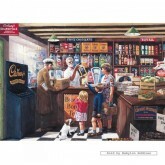 Some are just passing through, but others are picking up provisions at the village store or taking a little refreshment at the Tam O'Shanter Inn. Two keen spotters note the 4588 as it pulls into the station, before treating themselves to a warming cup of Cadburys Cocoa. In stock and ready to ship out. 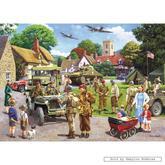 A 1000 pieces jigsaw puzzle made by Gibsons (reference G458). Size: 68.5 x 49 cm (= 27.0 x 19.3 inch). Special series: Kevin Walsh. 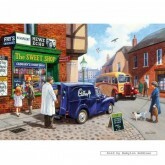 A 1000 pieces jigsaw puzzle made by Gibsons (reference G491). Size: 68.5 x 49 cm (= 27.0 x 19.3 inch). Special series: Kevin Walsh. 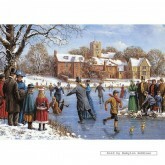 A Victorian winter scene by the artist Kevin Walsh. 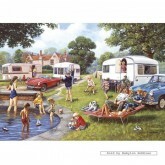 A 1000 pieces jigsaw puzzle made by Gibsons (reference G6123). Size: 48 x 68 cm (= 18.9 x 26.8 inch). Special series: Kevin Walsh. In stock and ready to ship out. 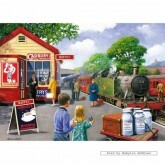 A 1000 pieces jigsaw puzzle made by Gibsons (reference G6142). Size: 48 x 68 cm (= 18.9 x 26.8 inch). Special series: Kevin Walsh. 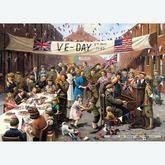 A 1000 pieces jigsaw puzzle made by Gibsons (reference G7063). Size: 48 x 68 cm (= 18.9 x 26.8 inch). Special series: Kevin Walsh.